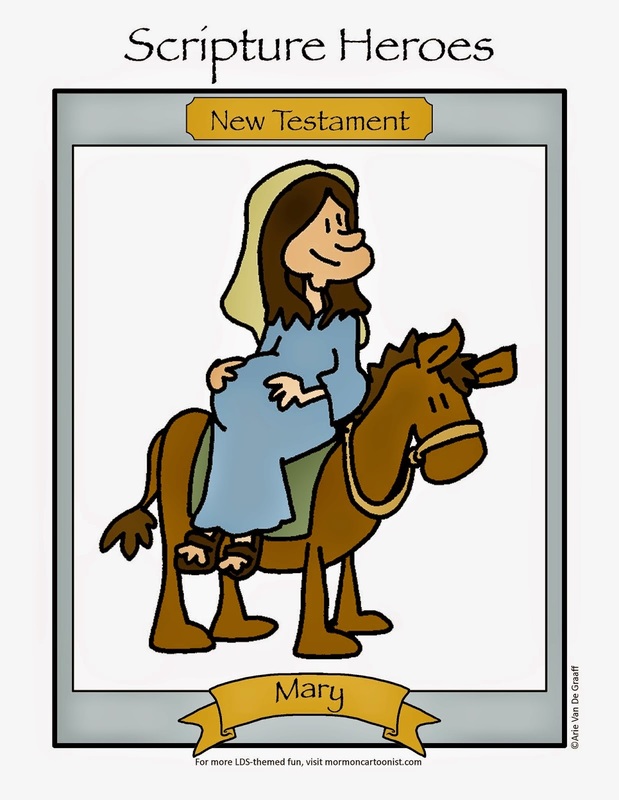 Welcome to the Ward Cartoonist Tournament of Champions. Today the number 1 seed squares off against the number 16 seed. Will it result in a rout or an epic upset? That's for you to decide. Simply cast your vote in the comment section and remember to leave your name. Voting for this and every other first round contest will remain open until all the first round pairings have been revealed. I'll be posting a new pairing each and every weekday until we've crowned a winner, so check back here often. "Things not to say over the pulpit" are my favorite collection of comics and that one is a classic but I am going to have to vote for the 1 seed. It's too cleverly simple. I'm going to say "Jared fills out his family group sheet." Although, I do love #16, as I've had the opportunity multiple times to be a Gospel Doctrine instructor. Definitely Brother of Jared! That’s a good one. Gotta go with #16--There's one in every ward! Hard! But I’m going with seed 16. �� It’s so true...and those people make it so uncomfortable ! Brother of Jared. 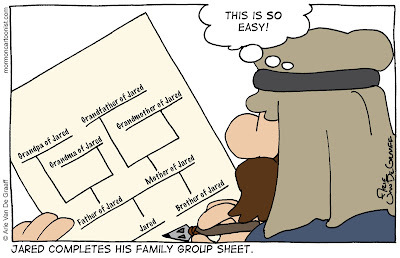 If only doing family history could be that easy! I vote for Jared. It made me laugh. Sixteen is hilariously awkward, but definitely going to have to vote for one seed. Brother of Jared for the win. I like the #1 seed, but the 16th seed makes me laugh so I'll vote for the 16th Seed. I vote for things never to say over the pulpit. Whew! This one is difficult. #1 is, objectively, just as funny #16, but #16 is more relatable. That's why my vote is for that!!! The Jared joke is so "Gary Larsen" it has to get my vote. My vote: Brother of Jared. Seed one. I love them both but I vote for seed 16 because that is totally my dad! The pulpit! Though our ward would be giving this calling to a sister .. I have to go with the family history one! One for sure—sixteen is great, but I quote the Brother of Jared joke all the time! I'm voting for the family history one. Perfect cartoon. 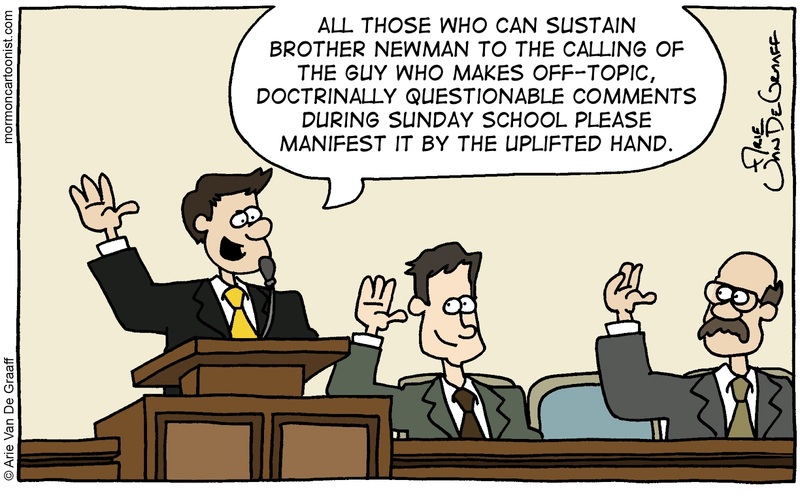 16 - I think the entire Deacon’s Quorum filled that calling! For some reason it won’t let me comment non-anonymously, so this is from Bryce W.
Both are hilarious, but #1 will be better understood by all generations. The kids and I took a vote and we say #1. Brother of Jared. Another one I wish I had written!